Since we’ve been using the reward charts for Jude he is constantly asking if it’s Saturday, because he knows he gets to play a video game on Saturday. Since charts work so well for him I decided to make him a Days of the Week chart. 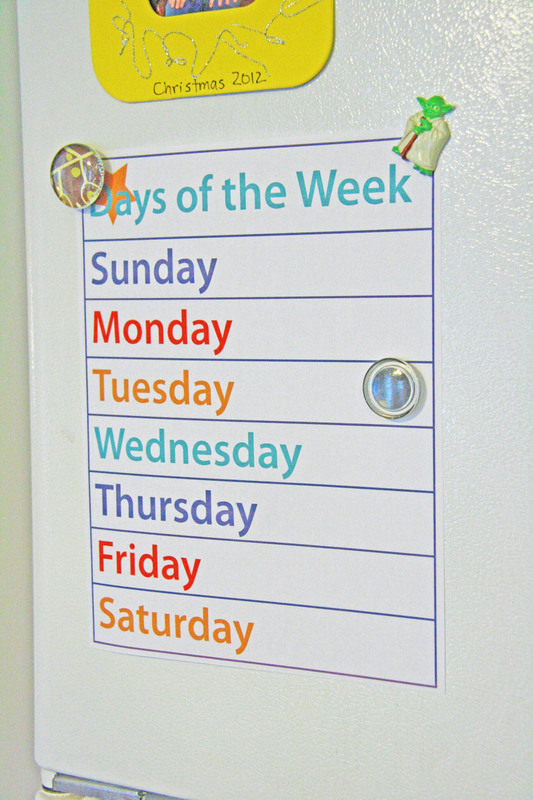 The chart hangs on the fridge and each day we move the magnet to the correct day. This not only lets him know which day it is but also teaches him to read the days of the week. CHECK OUT: More Free Printables like Learning Left and Right, Sight Words List and Sight Word Bingo.